I am the early morning joggers at Jeffery’s Sports Club. I am the morning rush at James Gichuru Road. I am the hub of local and international schools. I am the one-stop-shop for shopping and entertainment. I am the new business centre lighting up the town. I am Riverside and Lavington rental agent, Catherine Kibue. 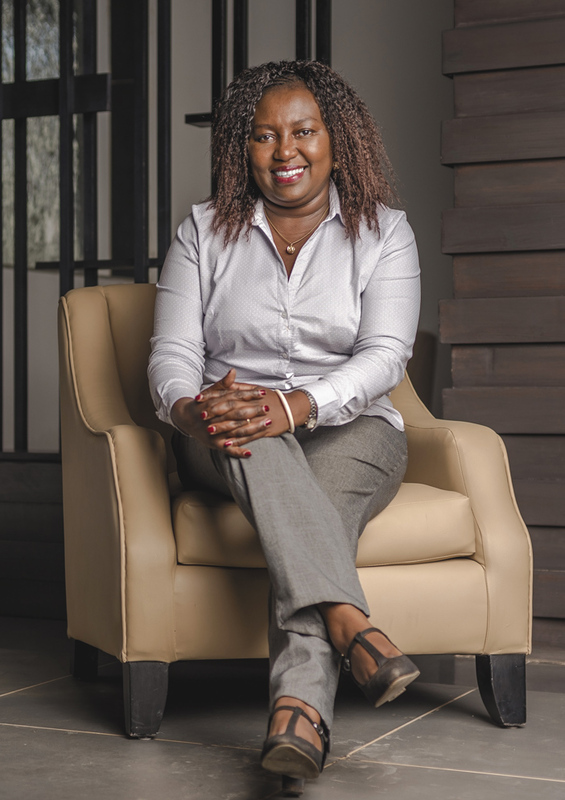 Good day, I’m Catherine Kibue and I’ve been working with Pam Golding Properties since 2014. I specialise in residential rentals in Kileleshwa, Lavington and Riverside. In my spare time I enjoy cooking, reading, traveling and spending ample time with my family. Get in touch and let’s discuss how I can help you with your property requirements. I am a fully qualified agent and have successfully completed my NQF4 qualification. Being in the real estate industry this last five years has given me ample experience in both selling and rentals. It is my greatest passion in life to stay connected and make my clients happy as well as helping them find their dream home. I am definitely an easy going person, love to listen to others and always offer my clients great quality work. The real estate industry has really opened doors for me in sales and has also expanded my knowledge in dealing with properties. I was well equipped with good training from many conveying firms as well as gaining a good understanding of the property laws and how to go about it which in turn I have applied the same in my career going forward. I can say my experience is reputable and commendable. I strive to always work hard and be professional with all my clients as well as assisting them with any possible task they might require. My areas consist of a diversified demographic and I thoroughly enjoy mingling with them. I have done more than thirty rentals since I joined Pam Golding Properties. My clients have been so pleased and happy with my work that my main referrals are from my previous clients. This truly makes me very proud and definitely motivates me. I am very passionate about the needs and goals of my clients and am more than satisfied when a client feels at home. Please do get in touch and let me assist you with your property needs.